Lotus Organic products offer superior quality, and come with a third party certified organic guarantee. An ancient seed with more Omega 3, dietary ! bre and protein than any other food from nature. Why is it good for me? 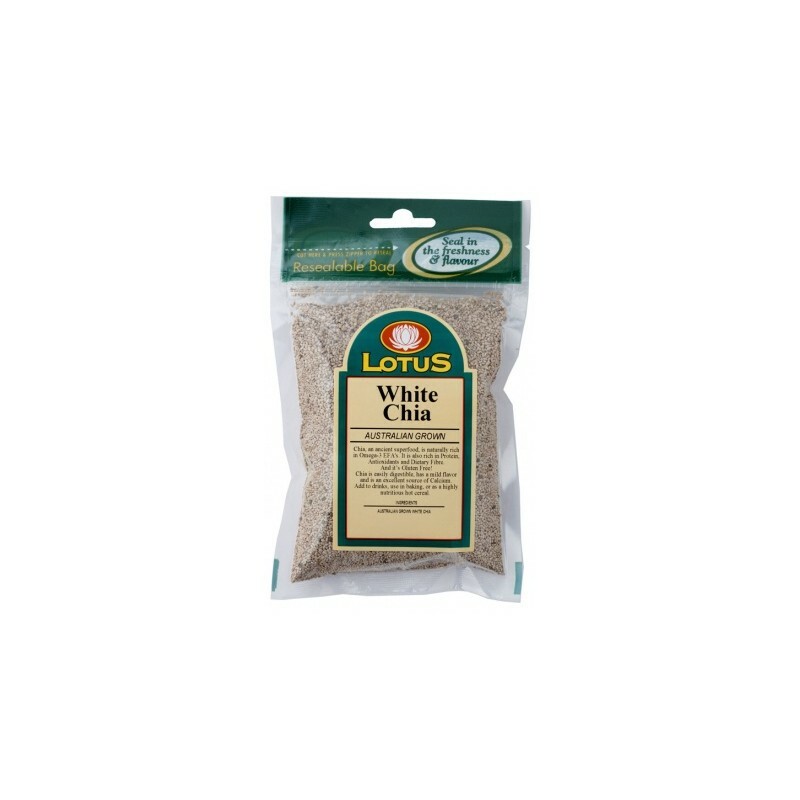 Chia is nature’s complete superfood containing Omega 3 ALA, fibre and essential vitamins and minerals. Chia should be included in your diet – for overall health and wellbeing. 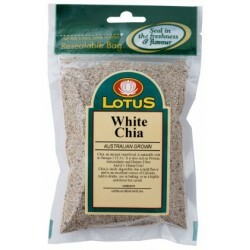 Chia is gluten free; promotes heart health; supports joint function and mobility and aids a healthy digestive system. How do I include it in my daily diet? 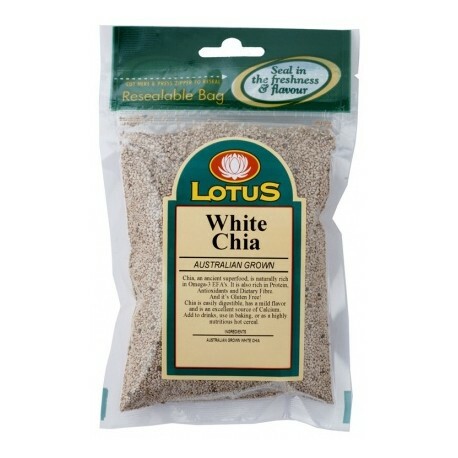 Chia is easy to include in your everyday diet as it tastes great. Sprinkle raw on food; such as breakfast cereals, salads and soups. Mix with water to form a thick gel and blend into smoothies and drinks. Add to bread and muf!n recipes. Black and white seeds have the same nutritional values - it is up to you whether you would like to see it in your food! · Gluten Free and endorsed by the Coeliac Society.